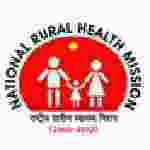 NRHM Staff Nurse recruitment 2016-17 notification apply for 800 posts: National Rural Health mission (NRHM) welcomes application for the position of 800 staff Nurse and ANM vacancies. .Candidates who completed their B.Sc., ANM is a good opportunity.The individuals who are the occupation seekers searching for govt employments in Assam this is the best chance to apply. Competitors read the official notification then read all the guidelines and miners precisely then apply before the last date online application got. All the interested and eligible candidates can apply online before 10th July 2016. Candidates Age Limit: The age of the candidate will be according to rules and regulation of National Rural Health mission (NRHM) organization norms. Academic qualification details: Candidates should have B.Sc. in nursing / GNM course passed from any nursing school / institution recognized by Indian Nursing council and registered with Assam Nurses Midwives and health visitors Council. Academic qualification details: Candidates should have ANM nursing course passed from any nursing school / recognized institution and registered with Assam Nurses and health visitors council. Official website: All the interested and eligible candidates can apply online through official website of National Rural Health mission (NRHM) www.nrhmassam.in and submit the scanned copies of their testimonials to the email mail.hrnhm.assam@gmail.com on or before 10th July 2016. Important Dates: Last date for the submission of online application is 10th July 2016.